petition: We Want Environmental Law Classes! We Want Environmental Law Classes! As some of you may know, the only Environmental Law professor, Professor Finkmoore, is retiring at the end of the Spring 2019 Semester. At the moment, Cal Western does not have a replacement for next year and does not have Environmental Law classes on the course schedule. Help us let the administration know that there are students who are interested and want to take Environmental Law classes, and that we want a new Environmental Law professor! 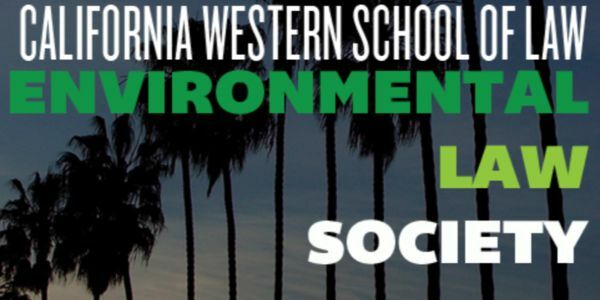 We the students of California Western School of Law are interested in learning about and analyzing the critical environmental issues that face the planet and our generation in particular. We are in the midst of the ecological crisis of global climate change that has already devastated the lives of millions of Americans and threatens the lives and livelihoods of billions of people and the Earth's natural resources. Now is the time to equip a new generation of attorneys to deal with the most significant issue humanity has faced. We find it unconscionable that a law school in a place so likely to suffer the consequences of climate change, including sea level rise, flooding, water shortages, and wildfires, would allow these issues to remain unaddressed in its curriculum. We find it unfortunate that the law school's only Environmental Law professor, Professor Finkmoore, is retiring at the end of this academic year. Professor Finkmoore has provided students here with environmental knowledge and understanding for decades. The law school should continue this legacy of the commitment to environmental awareness by hiring a new Environmental Law professor and providing relevant and engaging Environmental Law classes. The number of students interested in learning about climate change, environmental justice, and other environmental issues is solid and growing, and we believe the law school does a disservice to us by ignoring this subject that is so critical to our future.